Behind the 29-year-old ex-con’s back, the rest of Belly Ribbon Fight Camp laughs. 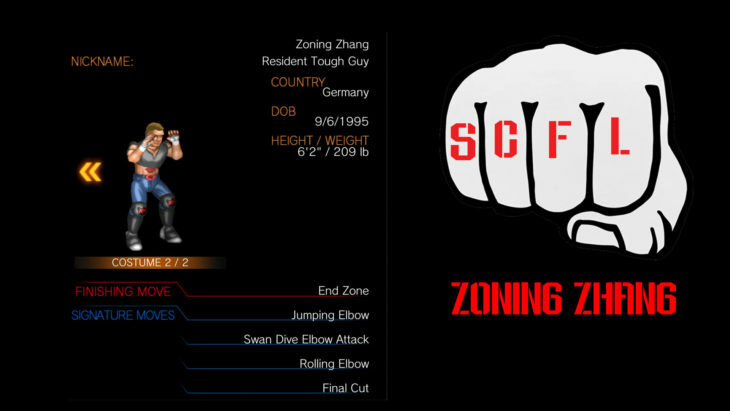 Zoning Zhang is considered the jobber of Beliribun, losing multiple fights while he was in the clink for lottery ticket fraud, and he continues that trend in the cage. He has won some good fights, and he can win with a good combination of striking power and chin, but Zhang is far from elite. He’s got more heart than fighting ability.